It’s Christmas eve, yippee! and can you believe the sun was shining today?? Still I’m not complaining, I got to wear one of my favourite blouses at the moment by Lovestruck clothing. 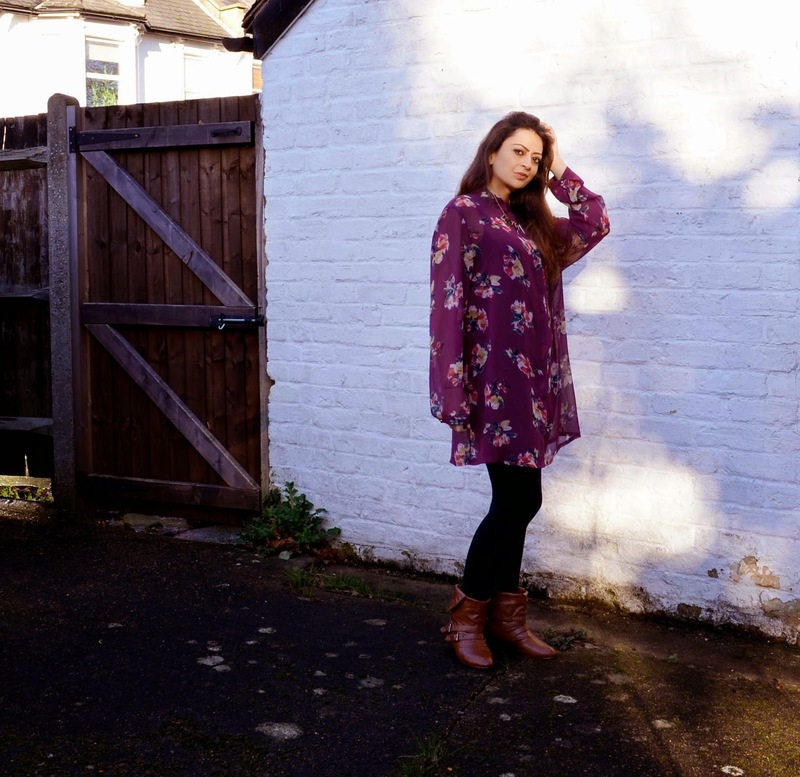 The bold print and berry colour is so Autumnal and it really is so easy to wear. I love buttoning it up all the way to the top and adding a necklace for a bit of sparkle. 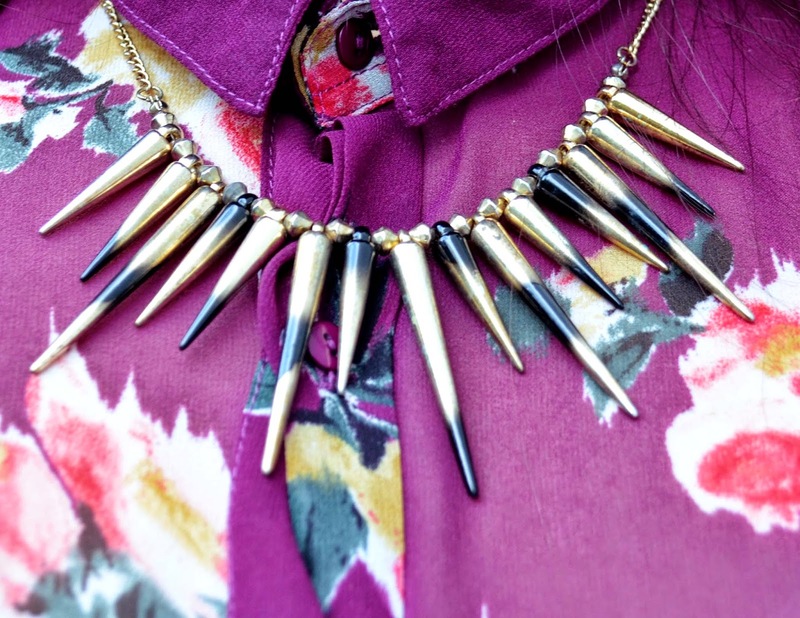 Today I styled it with my sunburst necklace from Topshop. The blouse was bought from Topshop a while ago however it can still be bought from Peak Boutique in Purple or Navy. I wanted my shirt to look oversized so I bought size large and finished off with fold over boots. What do you think of my outfit of the day?